You start with a few rooms to receive and treat patients, but with money earned from completing the goals for the day, you can add more rooms to take care of admin work, marketing, commercial space and the like. The rooms stack up vertically at first and then later expands horizontally. 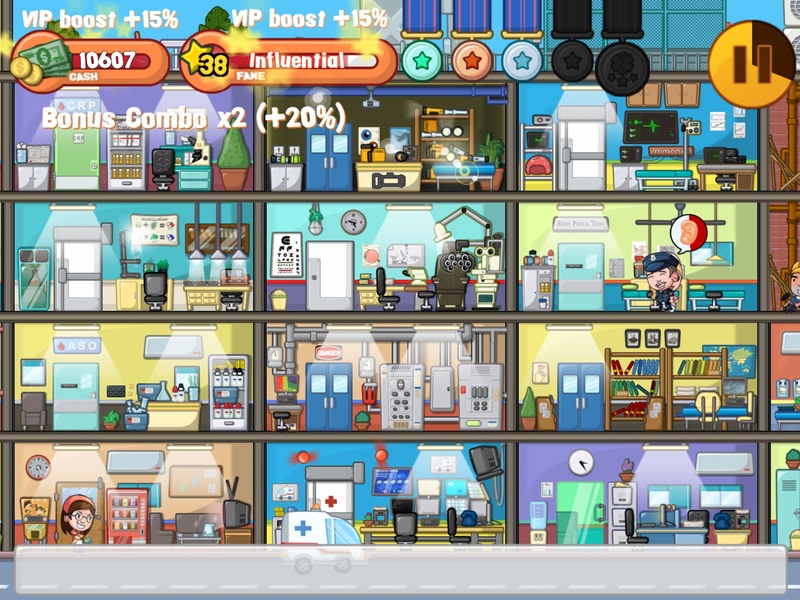 The set up of the game reminds me a bit of Tiny Tower and Kairosoft titles. 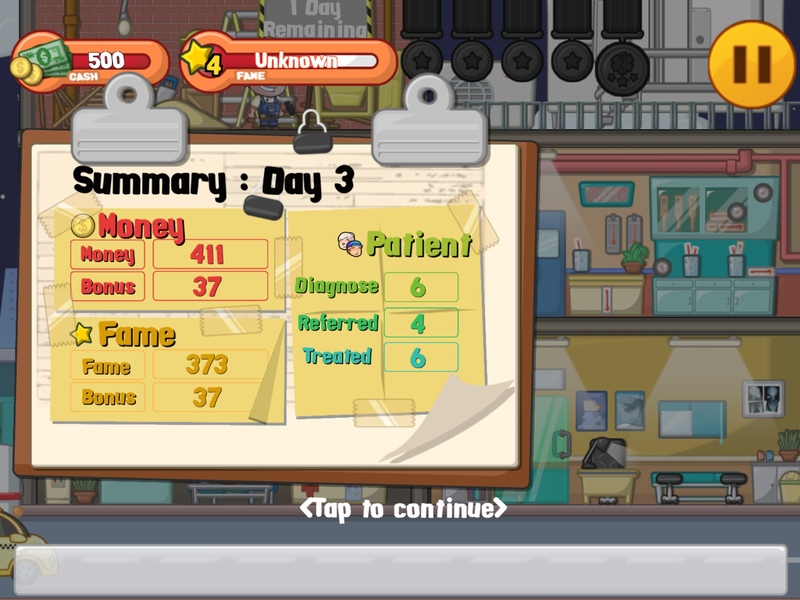 For each ‘day’ or level, there are goals to complete, such as treating a certain number of diseases or building a particular office. What makes Doctor Life stand out is its use of actual diseases and treatment. However, the game is more about making wild guesses based on the two or three cryptic symptoms to choose from. Equally difficult is trying to figure out how to treat the disease. 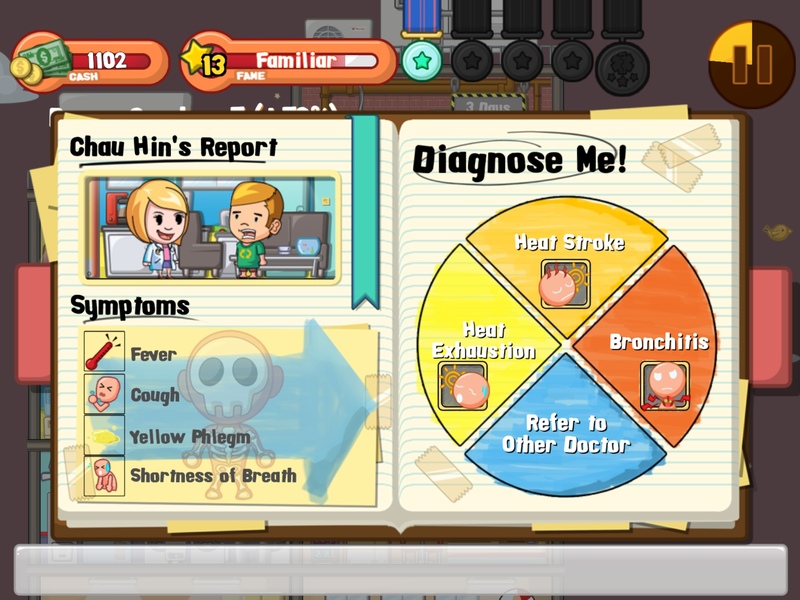 The developers deliberately did not provide a medical encyclopedia to guide you. You only get to familiarize yourself with the correct answers through sheer practice and some memorization. The exclusion of a tutorial makes the game stand out, but not necessarily in a good way. 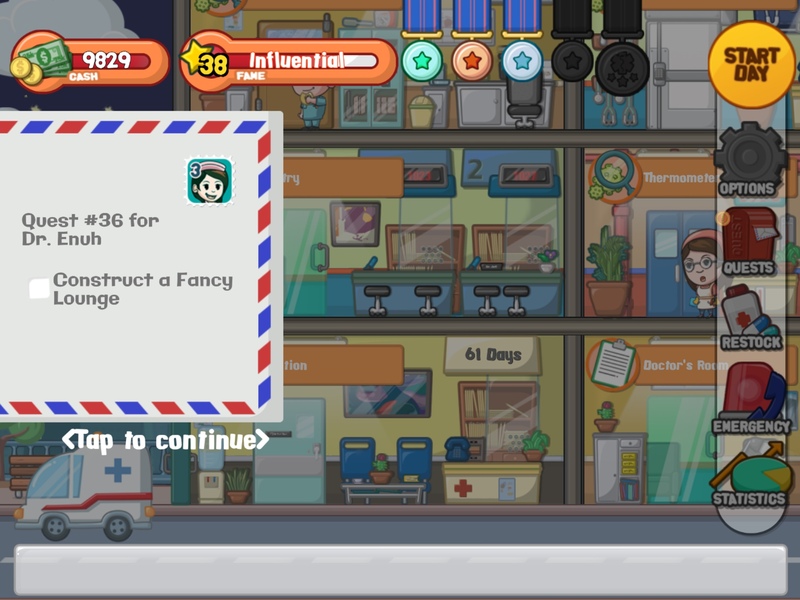 It would be nice to learn more about the disease if there were a reference of sorts and aside from the basic descriptions of the different offices/structures, some information of how emergency works would also be nice. 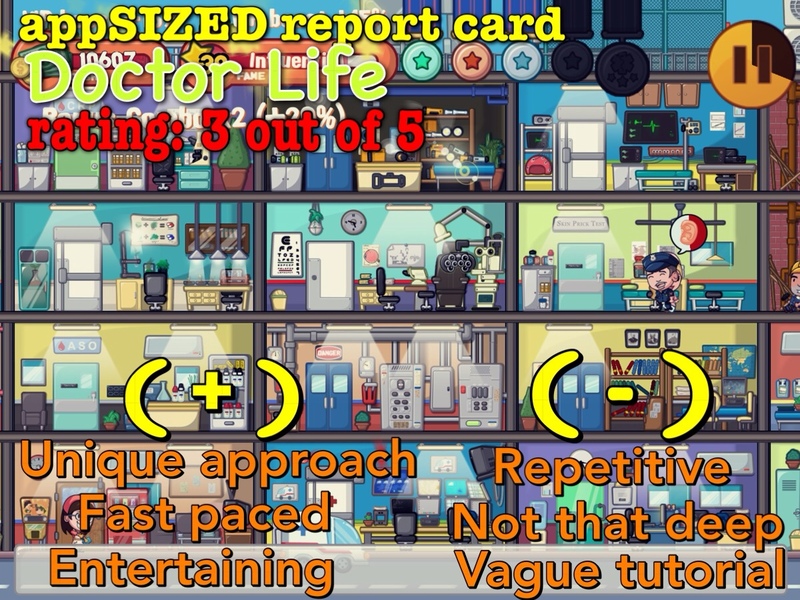 I would have to disagree with the characterization that Doctor Life is a simulation game, if you mean tycoon style. You don’t have control over how the hospital is run; you don’t get to make decisions, really, that will affect your hospital, such as selecting staff or improving certain services. The game is closer to a time management game and is just goal oriented. 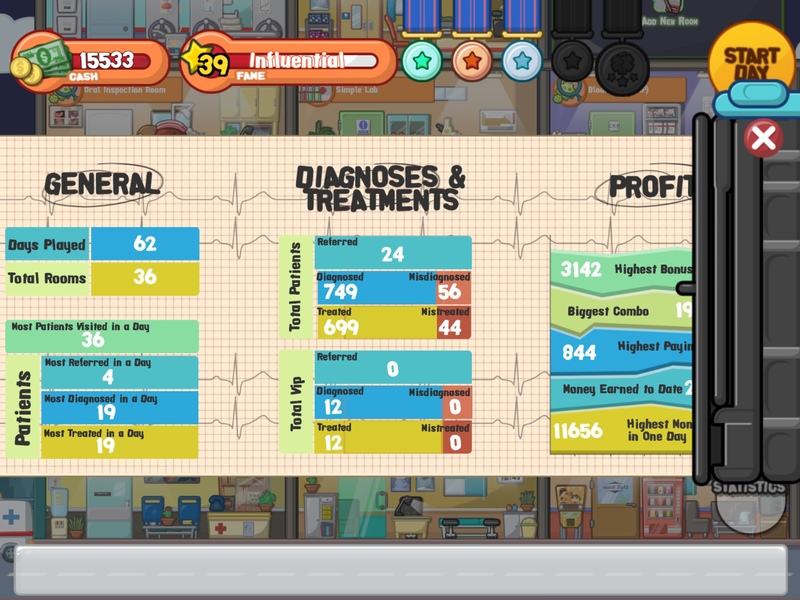 There isn’t much explanation to flesh out other aspects of the game, which I think Doctor Life is lacking. In that sense, the game is still nonetheless, limited and repetitive after a while. However, Doctor Life is no less entertaining despite being rather limited and repetitive. 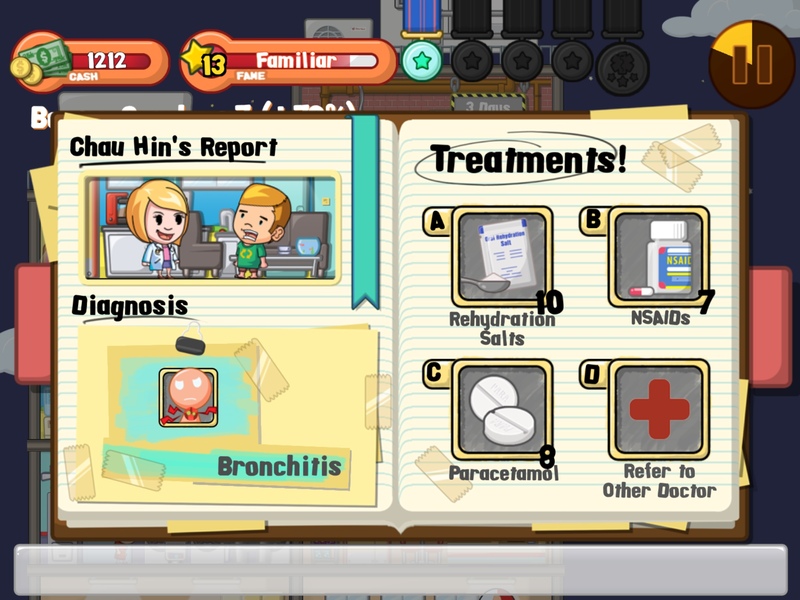 I also would’ve liked nicer graphics which is a staple for time management/simulation games, but it’s not a big deal for me.What makes it addictive and fun is the feeling that you can literally play doctor.